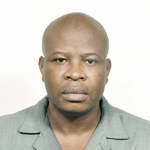 Mr. Dickson Akinwumi, the CEO of Brand Campaign, is a major player in the export marketing distribution business in Nigeria. He speaks to FADARE ADEKANMI on the challenges of the business in the past 16 years. You belong to the construction industry by training, how did you veer into phone business? I did not envisage that I would end up like this. I started in the construction industry as a quantity surveyor and I did some really big projects in construction. I did projects at the highest level. If you go to most higher institutions in the country and some stadium projects, you will see my fingerprints there either as a consultant or working for the contractor as a project manager. But at a time, I began to have a nudge to go to sales because one of my core gifts is negotiation and strategy. First, I tried to sell cars. Later, I tried real estate. My coming into trading as an importer and exporter is now was a function of providence. It was more like trying to go on vacation and somewhere along the line, I decided to buy things when I was coming back home. I found myself buying computers, selling them, sending some Nigerian agriculture commodities in return to foreign countries and also still doing my construction work. At a time, I became frustrated because I didn't have the professional background to be an exporter /importer. I said I would sell off all I had and then go back fully into my construction work. But in the process of trying to sell off, I had people asking me when I was going to bring more, so that was how 1 came into trading and I thank God that about 16 years after, I am still trading. Did you leave construction because of a lack of satisfaction? I was doing a good job, but I had to leave because there seemed to be a limit to what I could become. I discovered that I could not really do anything significant on my own. 1 needed a godfather somewhere. I was good but I could not get help, even the jobs that I did, I was doing them under people. I was working but I was not getting returns, 1 was also not getting fulfillment because I could not call all the projects mine. 1 could not say this is what I did. I could not even use that in my CV to show to the outside world. So, I began to ask questions, which is one of the greatest things in life. Is it the path I want to go on for the next 10 to 15 years? So when I began to see that there was continually conflict, 1 decided to do something about it and fortunately, God brought the opportunity of the GSM phones. 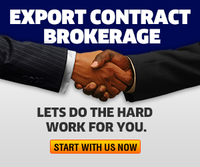 So how did you turn into a big time dealer in the import/export business from importing computers and exporting agricultural commodities? We were selling computers until the GSM came. And when it came, we tried it and it clicked. We decided to face phone alone instead of combining it with air time. About 16 years ago, it was only me, the driver and a secretary, but as at today, by God's grace, we have about 32 staffs all over the country. We have branches in Kano, Kaduna, Jos, Abuja, Onitsha, Port Harcourt, Ibadan, Ilorin and Lagos. God has really blessed me with dedicated staff. Along the line, we had a lot of crisis but overall, we have people who are consistent and loyal, people who take it as their personal project and I am also loyal and committed to them. You mentioned that you import and export, what are the challenges you face? 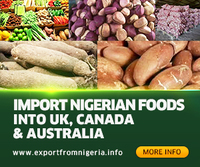 We used to do a lot of importation and exportation but now, we buy locally. Before, it was more of importation. All the major phone manufacturers in the world now have master distributors and they have their own warehouses here in Nigeria. But for the first three to four years, we did import. We still import but it is not as much as we export. We source locally now.